| Take your time when searching for the perfect melon. Don't just grab the one on top and assume that it is as good as the rest. And realize that while it is easier to see, buying produce that is pre-cut is not going to be as fresh as an uncut melon. 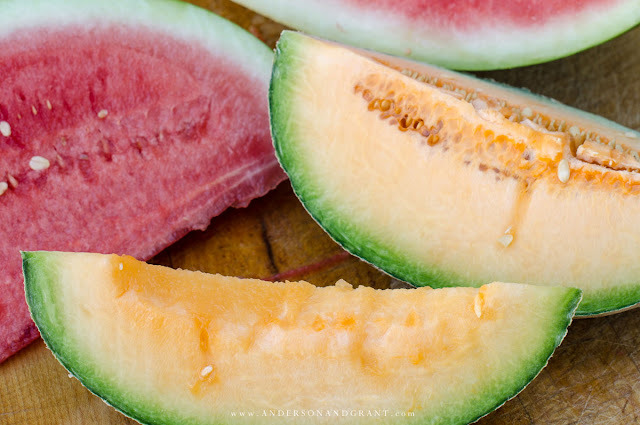 | Check the rind of the melon for bruising, soft spots, and cracks. A good melon will not be damaged on the outside. | Choose one that is heavy for its size and the weight should be even. One side of the melon should not feel heavier than the other. | When you press the stem end, you should feel a bit of give. It should also be slightly indented, which tells you that the melon wasn't removed from the vine before it was ready. | Tap the melon with the palm of your hand. A ripe melon with have a hollow sound. The best way to pick a cantaloupe is by smell. It will have a sweet, slightly musky scent. If there is a strong smell, then the melon is overripe. 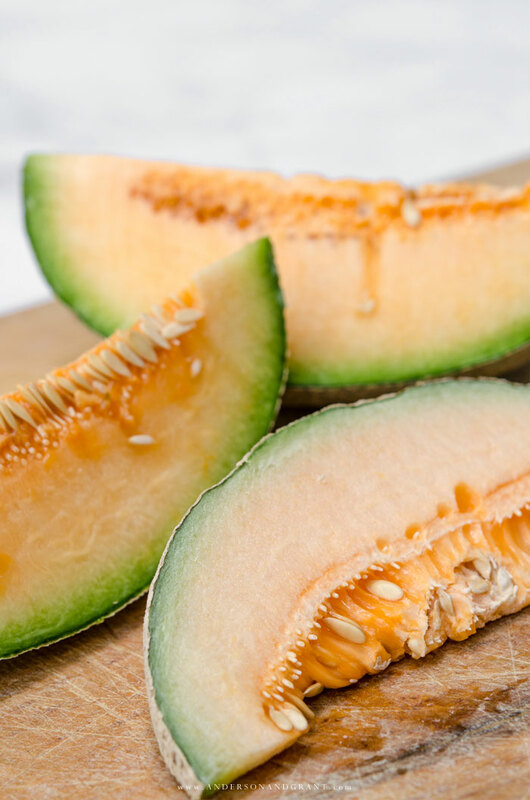 The rind underneath the net-like texture of a cantaloupe should be golden or orange in color. Avoid purchasing ones that have an underlying green or white color. The outside of a honeydew should have a dull looking appearance. If it is shiny, that is an indicator that the melon is not ripe. You want a smooth rind that is white, pale yellow, or pale green, but not overly green which also means that it is unripe. The honeydew should have a slightly fruity aroma. 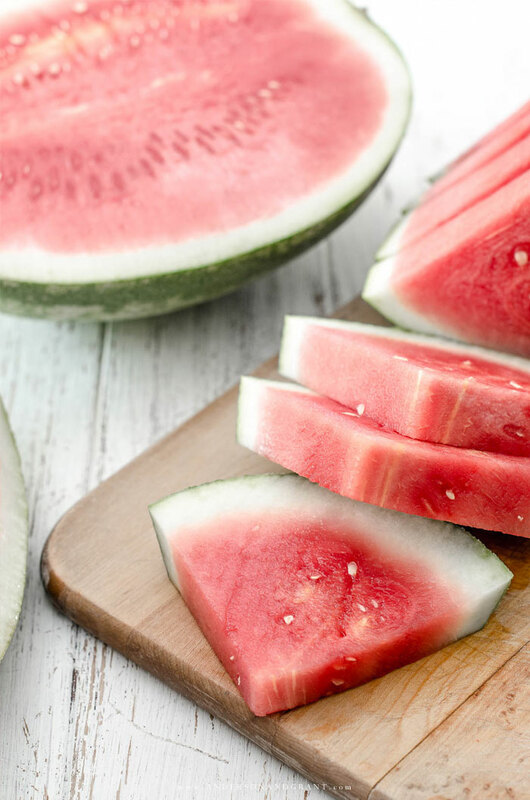 A watermelon should have a smooth skin with an even pale to dark green rind and a creamy yellow area on the underside where the melon had been lying on the ground long enough to ripen. The spot develops as the melon grows on the soil. If it is greenish or white in color, then it is not ripe yet. Watermelons don't continue to ripen once they've been picked, so this is an important clue to watch for. 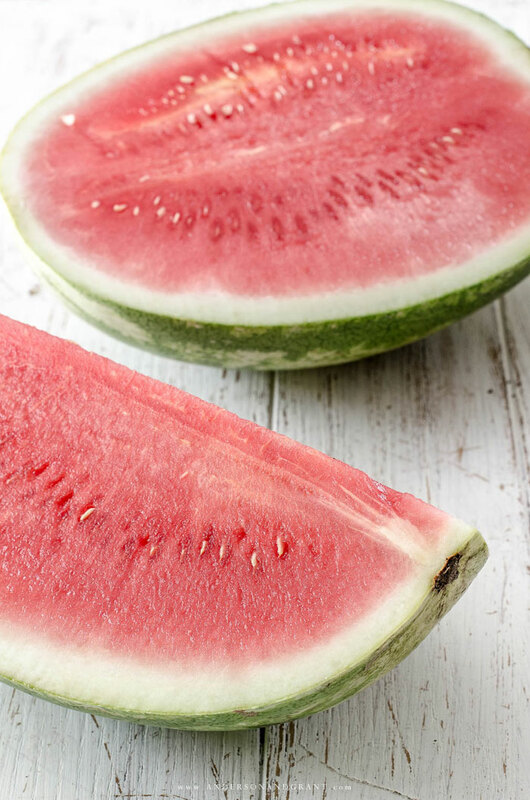 Like the honeydew, a watermelon should also have a dull looking appearance rather than a shiny one if it is ripe. Look for a firm, nicely shaped and symmetrical watermelon. Avoid those with flat sides. You may feel a little strange standing in the produce aisle tapping and smelling the melons they have to offer. But with time, you'll find choosing the right one to be an easier, less conspicuous task. And silly or not, isn't the point to come home with the best tasting fruit you can? This can be a lot to remember when it comes time to go to the grocery store, so I've made a handy printable that you can print off and refer back to. 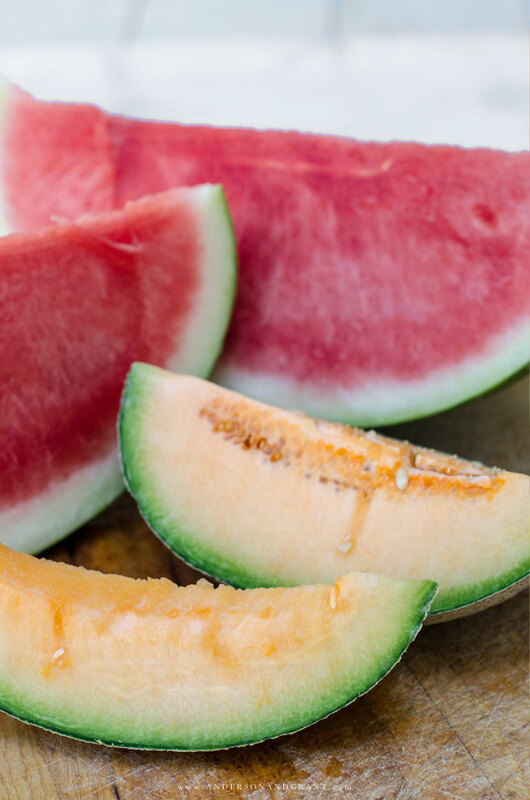 Download printable guide for choosing a perfectly ripe melon.